It’s time to bring balance to your life! Your metabolism is unique to you and is directly affected by what you consume. The type of foods, amounts eaten, and even when eaten either sustains and improves your health; or, leads to imbalanced hormones, weight gain, and potential serious metabolic issues. To achieve and maintain a balanced metabolism, your body needs a unique combination of nutrients. This can vary greatly from person to person. One approach does not fit everyone. Your age, health issues, diseases, food aversions/attractions, unique bio-metrics and blood chemistry can differ immensely from another person’s. All these differences are taken into consideration with a Metabolic Balance ® science-based and personalized nutrition program. The Metabolic Balance® all-natural program is a revolutionary method to help people achieve their health and weight management goals. This method provides an individualized nutritional food plan based on more than 30 of your blood values that are simply taken from your blood sample and analyzed. As the fastest growing weight program in Europe, Metabolic Balance® can help you lose weight, gain weight or achieve an optimum diet or optimum health. This program was developed by German medical doctor, Dr. Wolf Funfack and his team of physicians and nutritional scientists. It is based on more than 20 years of clinical research and practical experience. Metabolic Balance® is 100% natural! Only wholesome, natural foods are used. There are no prescribed injections, pills, shakes, or pre-packaged foods. Nor, as with some diets, are you required to keep “points” or count calories. Your local grocery store and farmers market can easily provide all the wholesome nutrient rich foods listed on your personalized nutrition plan. It will help you to reach your health and weight goals quickly and permanently, and provides a framework eating plan for the rest of your life. 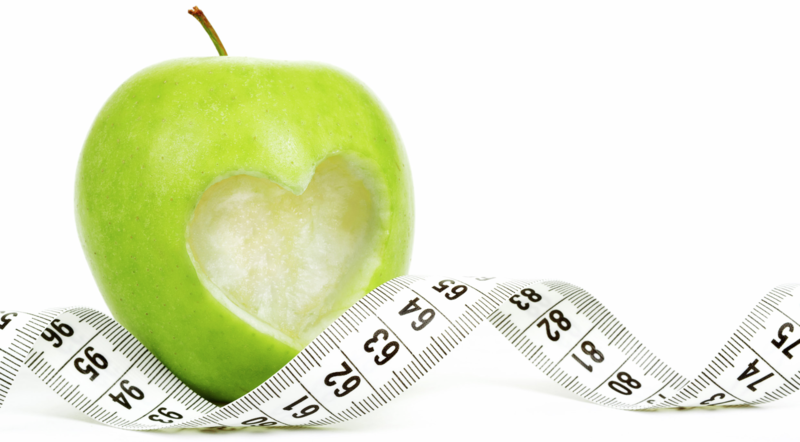 What are some benefits of the Metabolic Balance® program? Micheal W., age 32 – Lost around 147 lbs. What made you try Metabolic Balance®? I was far too big! In March 2010, I weighed more than 350 lbs. I knew it could not go on like this. My goal was to weigh less than 220 lbs within half a year. What can I say? I did it! To be honest, I stuck my head in the sand in terms of my weight-related problems, and hadn’t really noticed how bad I felt. I only really became aware when I started losing weight and began noticing how much easier life was becoming. There was a huge difference with even the simplest of tasks, such as walking up stairs. I get far less out of breath now than I used to and feel much better in myself. How did you find the program? After the initial detoxification, where I felt exhausted, I started to feel great. Although working as an estate agent is quite time-consuming, I never had any big issues following the plan. You can always pick something up at lunchtime, or even order something ahead, simply by using the foods from your plan. What is the biggest change since starting Metabolic Balance®? The way I feel now is definitely due to my weight loss. I have a lot more energy now and I feel great. At the same time I have became someone who is pleased with what he sees in the mirror. I love the new me and feel really happy. The “Key to your Success” – How Does It Work? Even though the success stories are impressive, Metabolic Balance® should not be viewed as just another diet program. Many health issues and weight gain are often signs of an unbalanced metabolism. When the metabolism is brought back into balance, blood values and weight are likely to normalize. It is a customized nutrition plan that establishes the correct parameters needed for proper metabolic and hormonal function. The Metabolic Balance® system works with your body by encouraging the release of insulin and balancing your hormones the way nature intended it. It will adapt and regulate your diet in order to stimulate your metabolism, boost your body’s production of the right hormones and help you lose or gain weight quickly, safely and without starving yourself. The program aims to reduce inflammation in the body which is the number one cause of diabetes, heart disease, blood lipid disorders and even high blood pressure. Our sessions together will start with a look at your food preferences, allergies, medications, supplements and your health history. In addition, you will get a requisition from me for full blood work. Once we have these elements, your personal health make up is sent to doctors in Germany who will create you a tailored plan based on your blood chemistry. On this plan, you won’t feel hungry and your craving for junk food will rapidly diminish. You will learn the 8 rules of the plan and be given a personalized road map of what foods you can have at every meal. As your certified Metabolic Balance® specialist, I will be on hand supporting you through the different stages of the program. Your Metabolic Balance® Nutrition Plan is as individual as you are. Since you are unique, I will be able to adapt my support and motivation to suit your needs every step of the way. Your success is my success! So, I am dedicated to motivating you to take control of your health and change your life to a happier and healthier you. The results I have seen with the program continue to blow me away. If you are serious about managing your health and weight, contact me today and let’s schedule a free consultation so that you can learn more. • A program that you can use as a framework for the rest of your life. Rejuvenate your health and your life! If you are truly ready to take control of your health, this is the program for you. If you would like more information on the Metabolic Balance® program, book a free consultation with me today!